High levels of Radon is the leading cause of lung cancer in Canada behind smoking. Responsible for over 16% of all Lung Cancers, mitigation is simple and cost-effective. The problem is not many people know the levels they are exposed to. Typical testing involves a 3-month or longer test period in the cooling season. The majority of the population just do not consider the long-term test. This is either due to its inconvenience or concern that such a test is not relevant for their needs. Short-term testing is accepted in many parts of the world and we believe, in order to really get the message out, short-term testing should be utilised in Canada. At OntarioACHI we believe we can go one step further. We believe that ultra-short measurements can be made as an ancillary service to a normal home inspection that will give a good indication that a concern for radon gas infiltration may exist. This course gives the basics about the different isotopes of radon, where it comes from and how it may enter properties. It also identifies the risks and provides a logical balance as to why we believe the current practices do not provide the level of protection deserved by Canadians, and especially for Ontario Inspectors, Ontarioans. Over 849 Ontarians die every year from lung cancer caused by high levels of radon. This course will teach inspectors how to provide the various forms of measurements, explain the pros and cons of each test and help them become certified to perform the different tests. 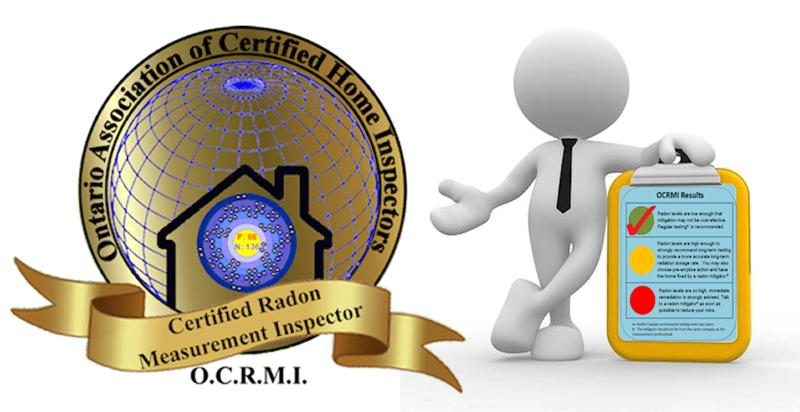 After successfully completing this course and accompanying examination, the OntarioACHI Certified Radon Measurement Inspector (OCRMI) can provide services to clients wishing to perform a Home Inspection to indicate a problem with radon may exist in the target property. Not only will this expand the Inspectors portfolio of services and increase earning potential, but will help in expanding awareness of the dangers of high levels of radon and help save lives. This course provides you with the technical and business skills to make a real difference to the level of risks posed by radon infiltration into residential properties. Review the health effects of radon gas exposure and the need for mitigating buildings with high levels of radon gas. Master the short & ultra-short radon measurement protocols needed to produce valid results according to OCRMI guidelines. Become familiar with the various radon reduction techniques used by mitigation contractors in Canada. 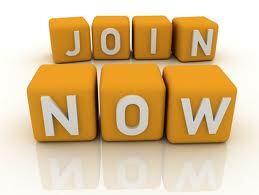 Unlock your abilities for developing, advertising and promoting your radon measurement services. Course selection is based upon a “first come, first serve” basis. There is a maximum of 20 students per course. If the course chosen is full, the applicant will be notified and given the opportunity to choose a later course. Cancellation made by a Registrant between 2 to 7 days prior to the course delivery date will be subject to a penalty of 50% of the cost of the course. Cancellation made by a Registrant within 48 hours of the course delivery date will not be refunded. OntarioACHI reserves the right to cancel or change a class at any time, including but not limited to, lack of participation, classroom, equipment or trainer availability. OntarioACHI is not liable for any direct, or indirect, consequential or special damages that may be incurred due to a cancellation of a scheduled class, including, but not limited to, cancellation penalties for transportation or accommodations. Registrant’s sole remedies shall be the refund of prepaid course fees or transfer enrollment into a future course at their choice. You can choose to perform the course alone, which will give you 7 CEU’s to add to your education profile, or you can choose to take the end of course test as well. If you pass the test you will not only receive the CEU’s but also be awarded the OCRMI designation and access to all the marketing content and business assistance that designation offers. Members who have taken a previous course in 2018 but failed to obtain sufficient scores on the exam to be awarded the OCRMI designation are entitled to a discount on this course. Once you press submit, you will be sent a PayPal Invoice for manual payment to the email address you supplied. Alternatively, you can make an Interac (e-transfer) payment for the total amount to payments@radonfind.ca. Don’t forget we will need the password to process the payments. The total amount shown includes HST and any discounts applied from the code you supplied. You will receive notification of your submission immediately and confirmation of your place once the funds have been transferred. More information will follow confirmation. Please hit "Submit" to complete your course submission. Your booking will be confirmed once payment has been received. Thank you %NAME% for submitting an application for the OCRMI Course. You will receive information with the next 2-3 working days to let you know more about the logistics.